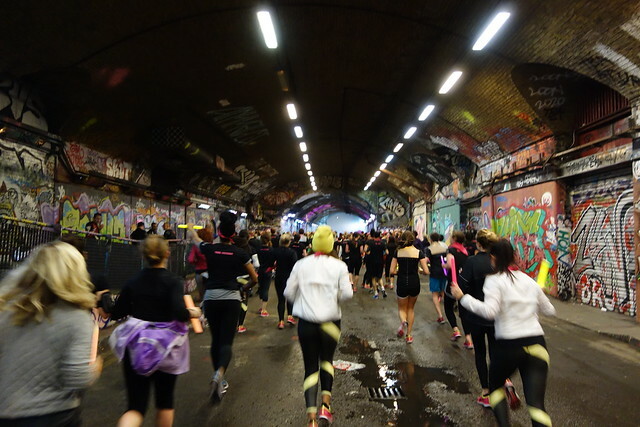 Quite possible the best, and most fun 5K run EVER. 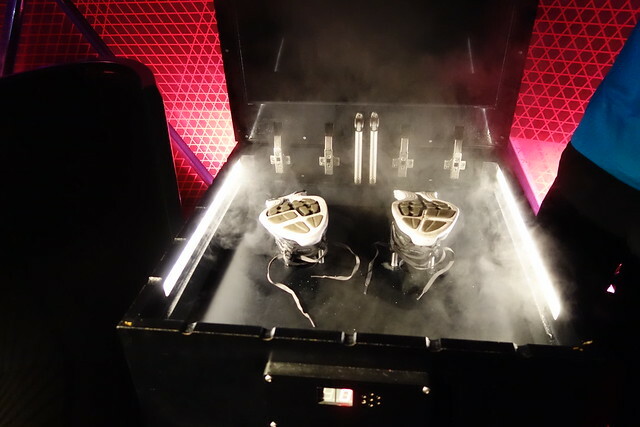 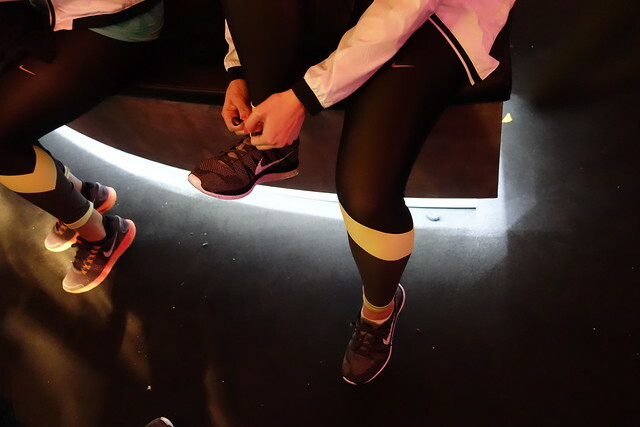 We joined Nike, members of Run Dem Crew, ELLE Magazine and their devoted readers at Somerset House for the ultimate Flyknit experience on Tuesday night. 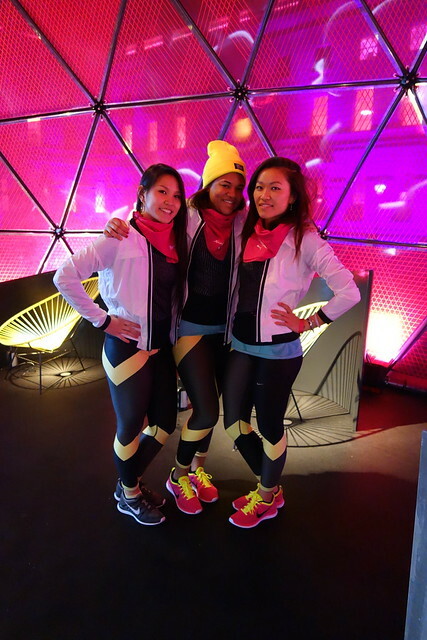 The girls and I were decked out in our fancy new Nike gear (Food & Lycra triplets) and ready to run like the wind with our steamed-to-fit Flyknits! 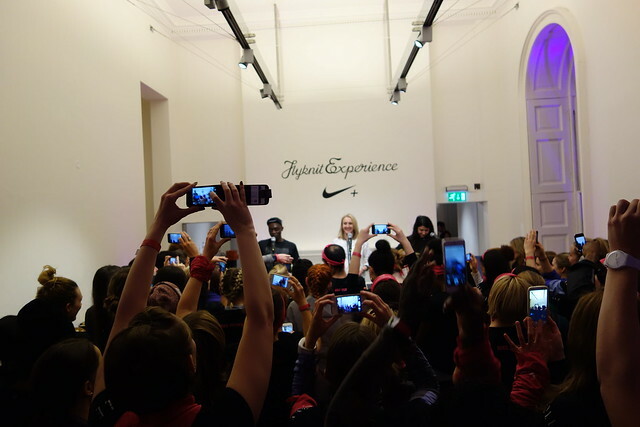 We mingled and nibbled on a couple of bags of Urban Fruit and excitedly waited for the main man Charlie Dark (RDC Founder) to host the Q&A session with THE Paula Radcliffe! 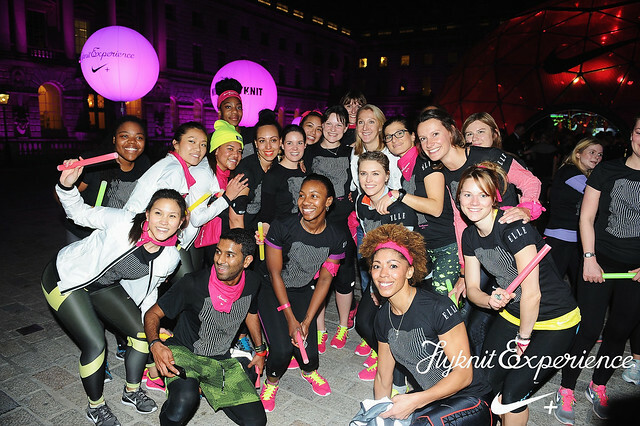 It was such an honour to be in the presence of people who have been such an inspiration to the Food and Lycra team. 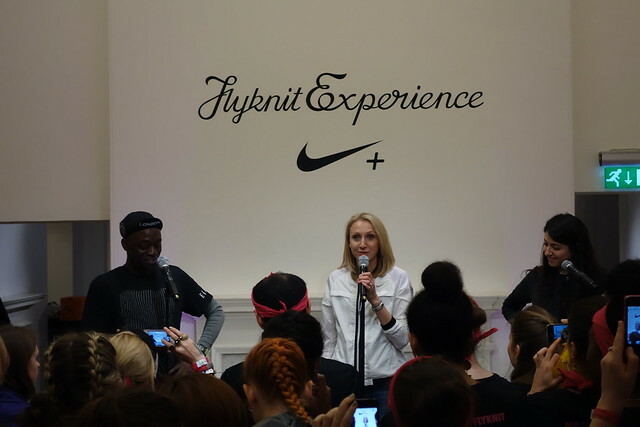 Charlie, the man who empowered the meaning of running in a crew, and Paula Radcliffe, the women’s marathon world record holder. 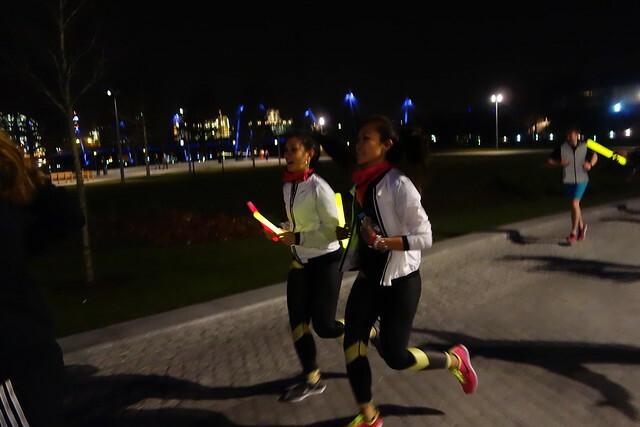 Paula spoke about her running career, the importance of style and friends to help build up that confidence to start running – reminding us of how we all started to run, each of us pushing and motivating one another. 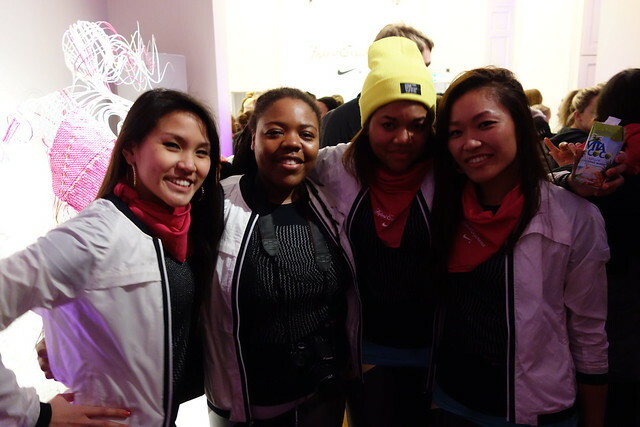 The room was fully pumped up and ready to roll out by the end of the Q&A! 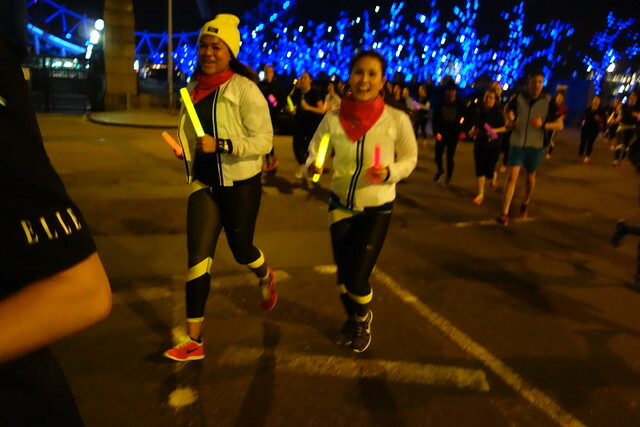 We jogged outside for a lively and fun warm up session before we set out for 5K nighttime London run. 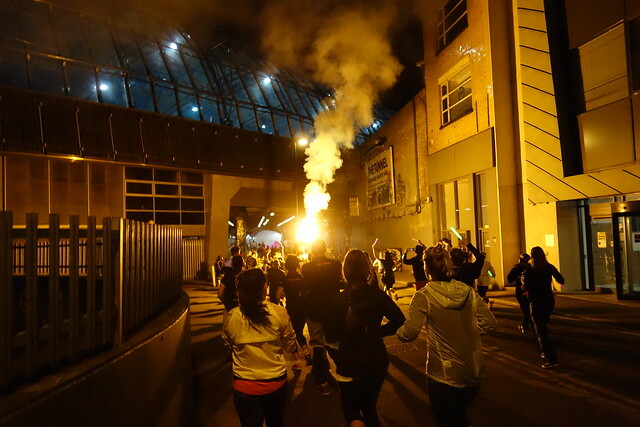 When we were told the run was going to be full of surprises, they weren’t kidding. 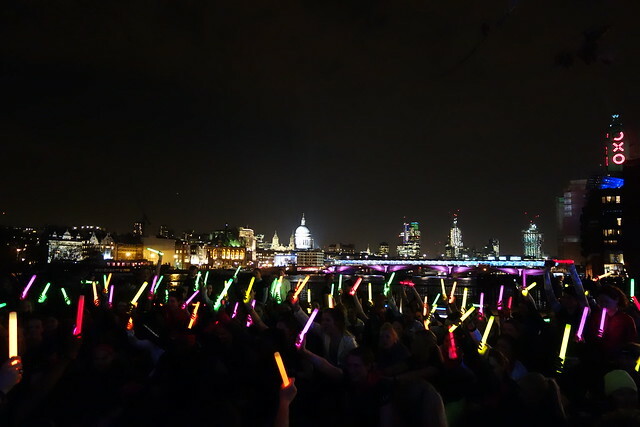 Rolling about 60 deep, we ran the most scenic route by The London Eye, South Bank and across the Millennium Bridge holding glow sticks, listening out for the boom boxes playing “power songs”. 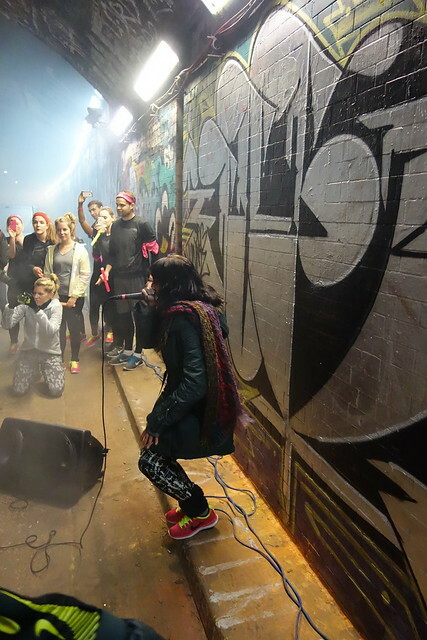 We stopped at Leake Street by Waterloo and entered the graffiti tunnels filled with smoke machines and laser beams to watch two amazing female beat-boxers perform! 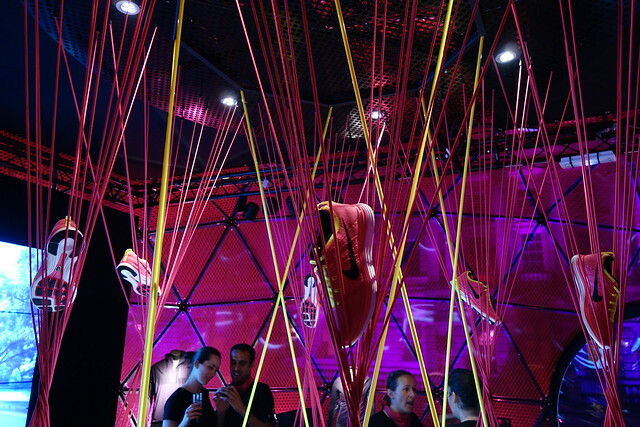 It was EPIC. 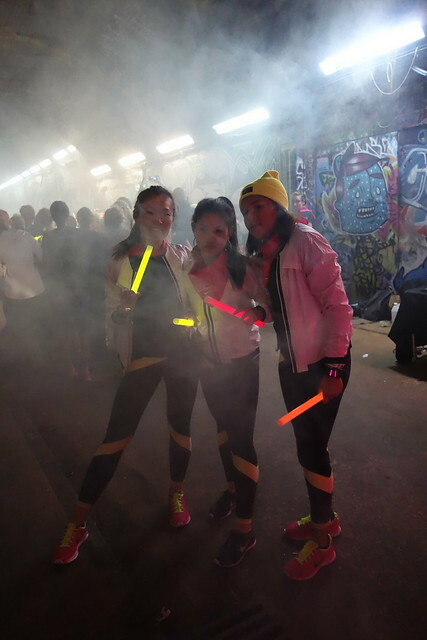 There is nothing better than a run that feels like a rave, it was so much fun! 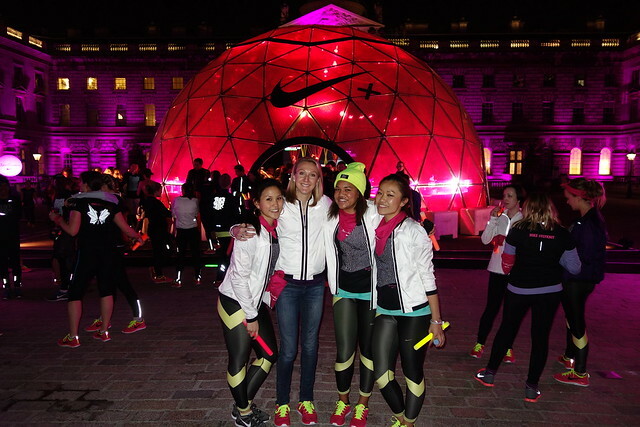 After the 5K was completed we settled back into Somerset house for refreshments and photos with the lovely Paula Radcliffe (who had the same swag as we did - ya dun know)! 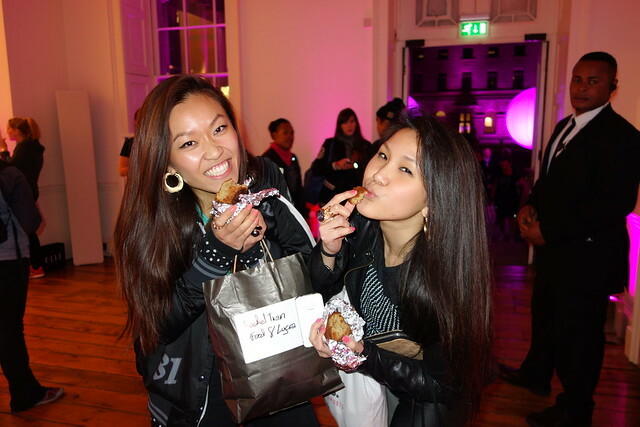 Check out more photos from the night below! 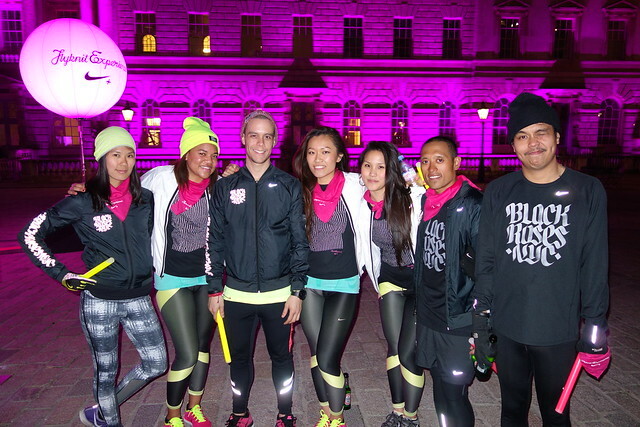 Great to see Charlie RDC, Tahirah from Yin&Yang and The Black Roses NYC running crew again after the Bridge The Gap half marathon weekend we just had in Paris (read more here and here)! 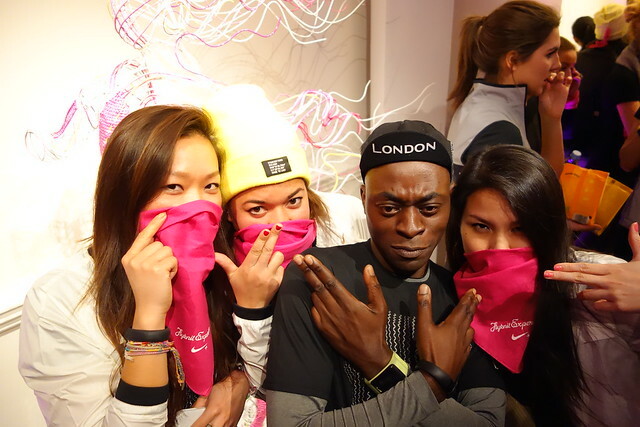 Are we really the only goons who would turn the Flyknit scarfs into balaclavas though!? 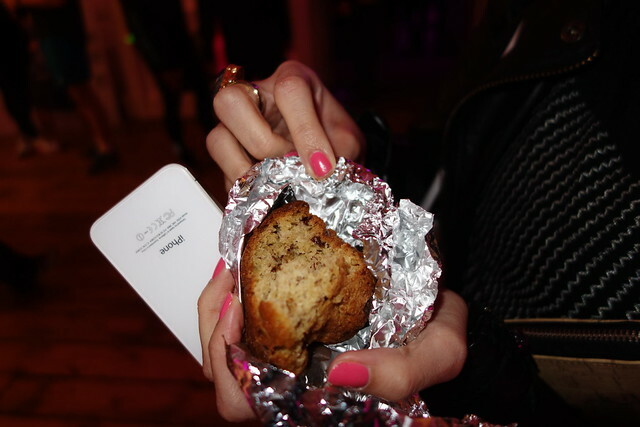 Obviously we stayed fed – casually chasing the waiters for canapés and eating Laura's chocolate and banana cake LOL. 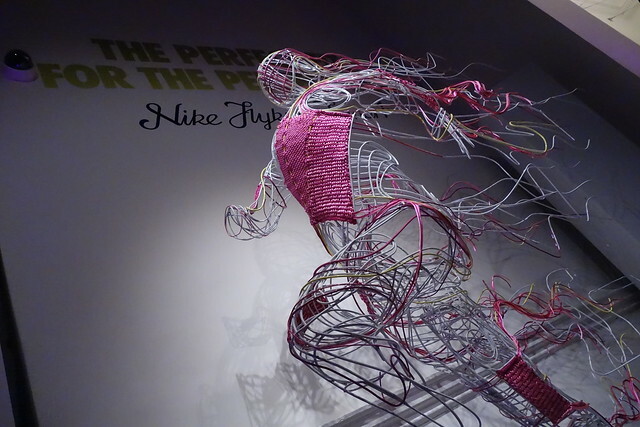 Thank you Nike, ELLE and everyone involved in creating one of the most memorable runs for us!